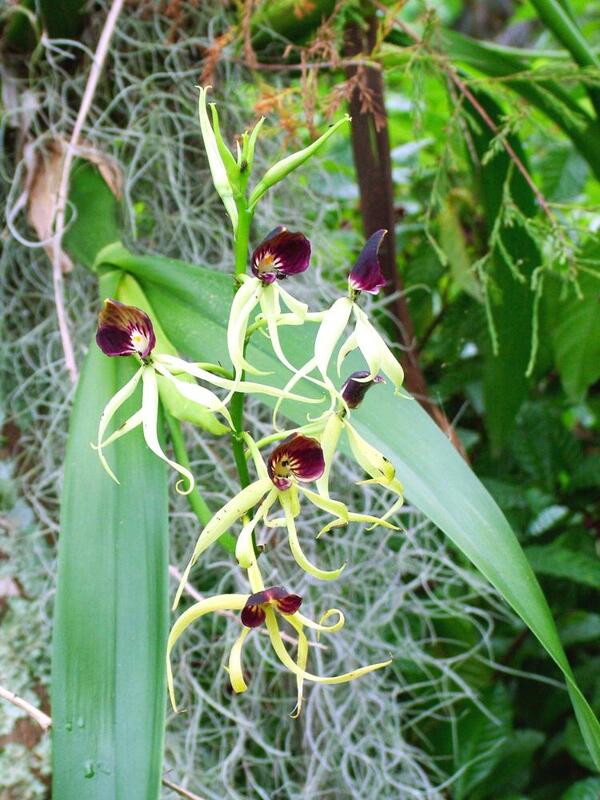 Prosthechea cochleata, commonly known as the Clamshell Orchid, is distributed in the West Indies, Mexico, Central America, and northern South America, as well as the southern counties of Florida. 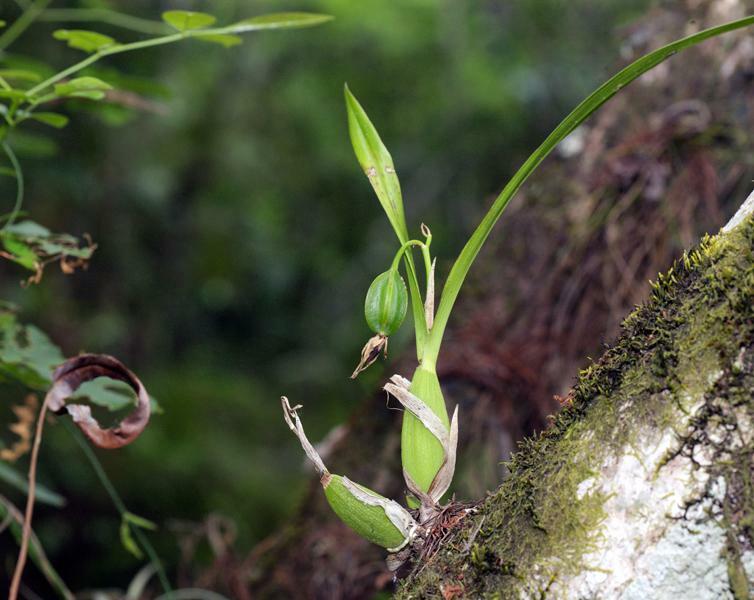 This plant produces 1-3 thin, keeled leaves and 1-15 non-resupinate flowers. 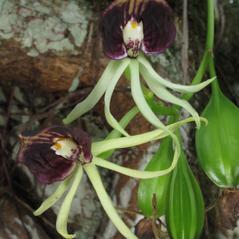 The sepals and petals are yellow-green with a few purple spots at the base. 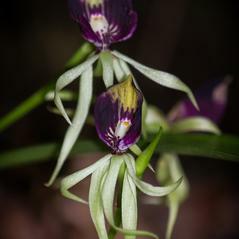 The uppermost part of the lip is broadly cordate and concave, purple to brown in color with veins radiating from the base. 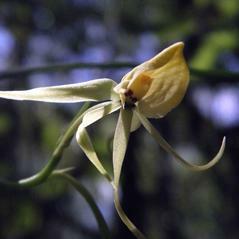 Another color form, albidoflava, has sepals and petals that are creamy white with a yellow lip. 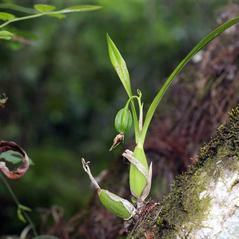 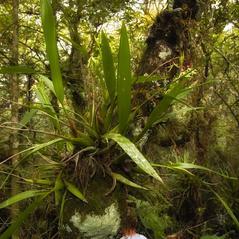 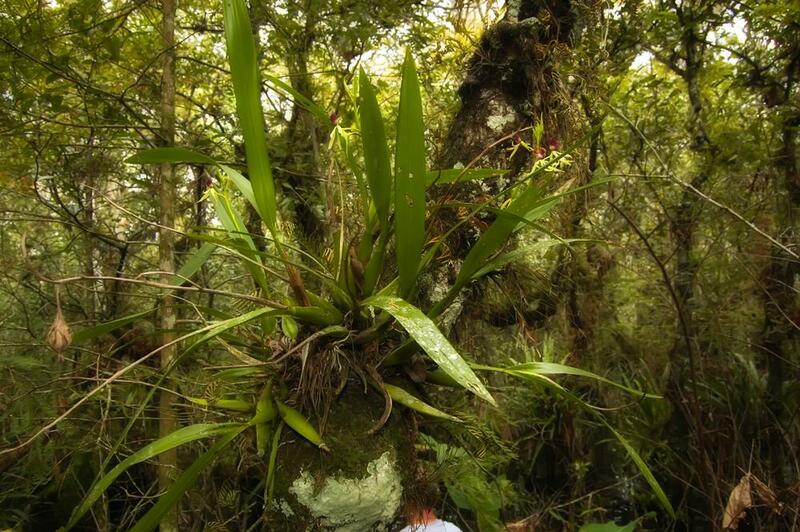 This orchid grows on tree trunks and branches in damp forests. 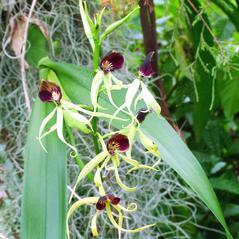 Prosthechea cochleata is apparently secure throughout its range but considered endangered in Florida. 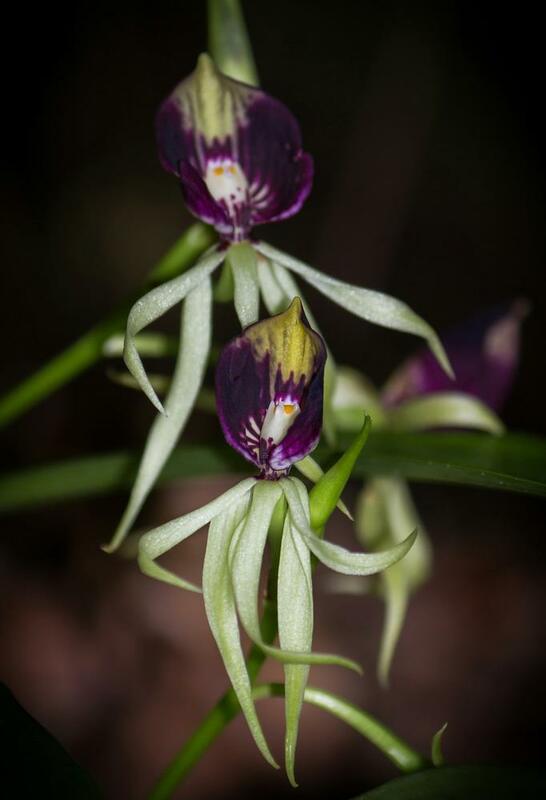 The autogamous, 3-anthered Prosthechea cochleata var. 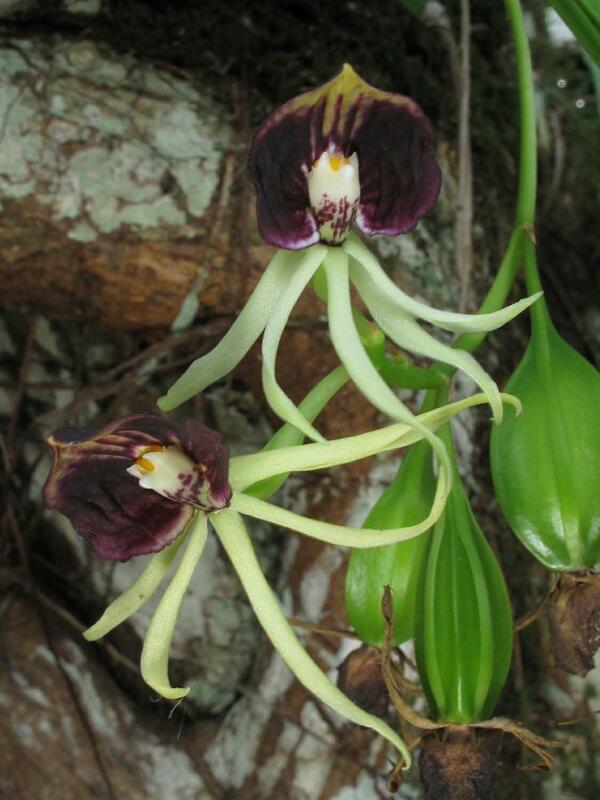 triandra is the only variety found in Florida. 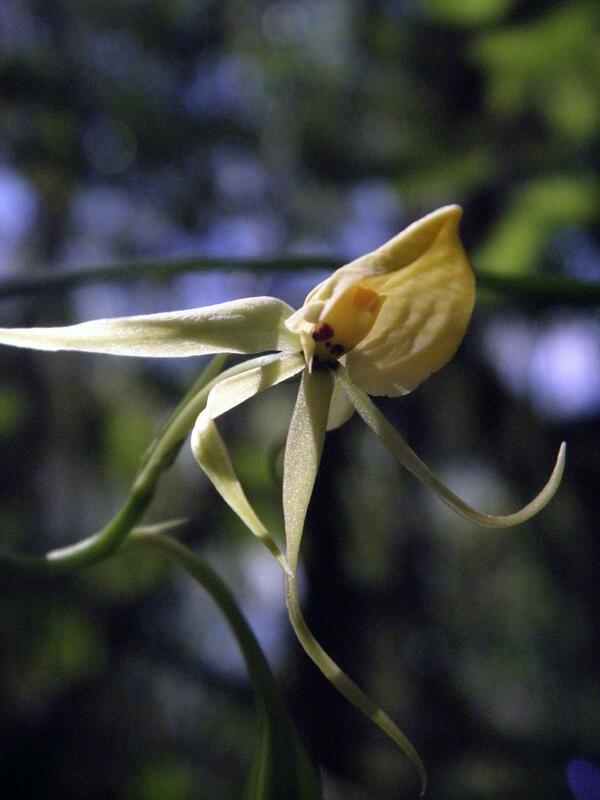 This promotes self-pollination, an important adaptation when insect pollinators are not present.